Best Trolling Motors Reviews Finding a top trolling motor is easy with us. 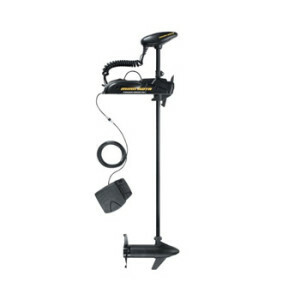 Reviews Bee’s team will help you to choose the trolling motor that best fits your purposes. Trolling motors are electric motors that fishermen and others use when they want to move their boat around the water, but make a minimum of noise while doing it. Trolling motors also allow users to operate them at slower speeds than they could with a standard fuel motor. This type of motor comes in a variety of shaft sizes, so trolling motors can be used on small and large boats. Fishermen use them for a variety of reasons, such as for their primary motor or as a backup for a gas motor that may stop unexpectedly. 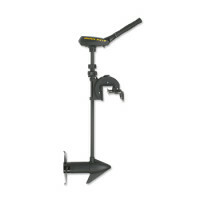 It’s also easy to use it when you need to move to a new fishing spot that is just a short distance away. How does a trolling motor work? A trolling motor works as well as a simple motor. It works on the principle of electromagnetic induction, (electromagnetic or magnetic induction is the production of an electromotive force, for example, voltage), across an electrical conductor due to its dynamic interaction with a magnetic field. A trolling motor consists of the motor, propeller, shaft, tiller, steering, battery connectors and the mounting. While the battery connectors are connected to the battery, the current passes through the wires and goes to the motor’s speed and steering controlling tiller. In case of a foot pedal, speed and steer controls are in the foot panel, that comes just after the battery connectors. With the help of mounting mechanism, the motor is mounted on the boat. The wires go to the motor, aligned to the shaft, the latter gives depth to the motor. When the current gets to the motor, it starts rotating due to magnetic effect of the current, after that, the propeller connected to the motor. The rotating propeller produces thrust, that helps the boat to move in the direction it is steered. By giving the right amount of the charge regulated by the controllers, the speed of the motor can be controlled. The motor rotates due to the coil in it that has current, which produces the magnetic effect and is placed between the magnets that have a south and a north pole. When crossing a quarter of this distance, the polarity changes. It keeps on rotating until the connection is disturbed. The steer mechanism is a little bit complicated, because the boat moves to the opposite direction, but if you are familiar with trolling motors, you will not find it difficult to be too hard. So, this is how a trolling motor works. But, like any other technical unit, trolling motors are somehow intricate devices too. That’s why it is very important to understand how it works and have and know about all its parts. Then, in some situations you can realize and fix the technical problems of the motor by yourself. Power loss: Sometimes, your trolling motor can’t supply enough power, even with the right battery and ample capacity. This will create a serious problem, because the trolling motor won’t be able to apply the required thrust. It’s very possible that the cause is from the propeller. So, the propeller should be removed and cleaned. If it doesn’t work the propeller may need to be replaced. Excessive vibrations and noise: If the motor suddenly is starting to make excessive vibrations and noise, it can be harmful for the on-board batteries. This also may be because of the propeller. You should check and secure it, or it may be that the bearings and bushings have worn out. If they are damaged it is better to replace them. Motor fails to run: There are cases when the trolling motor fails to run at all. There may be a problem with the fuse or the circuit breaker. If this is the problem, replace any fuses or switches that may have blown. 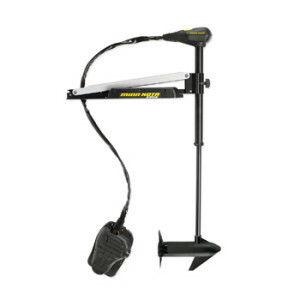 How to choose a trolling motor? Undoubtedly, the most important feature to focus on when purchasing a trolling motor, is its thrust. You should know how much thrust you need. Thrust is measured in pounds, (lbs. ), and is the standard measure of power for a motor. The larger and heavier your boat, the more thrust you will need to achieve satisfactory results on the water. 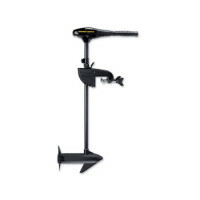 You should avoid buying a trolling motor with too little thrust. Nothing can ruin one’s day on the water, quite like an underpowered trolling motor, that is ineffective at positioning your boat for casting. Three decades ago, when trolling motors first appeared on the scene, an 18-pound thrust, was a big unit. Today, motors have already produced 165 pounds of thrust. The size and weight of your boat creates your need for the power-thrust and endurance. It is said that for every 200 pounds your boat weighs, you will need 5 pounds of thrust. So, to know how much thrust your boat’s trolling motor will need, you should add its estimated weight to its maximum weight capacity, then divide by 200, to get the amount for the required thrust number. Electric trolling motors have three separate power systems: 12, 24 or 36-volts. The basic type of motor is a 12-volt motor, which has low thrust, compared to the 24 and 36 voltage batteries. Moreover, if you connect the other two, (the 24 or the 36-volt), batteries to the 12 volts, then it will give you better thrust, and a longer run time in the water. 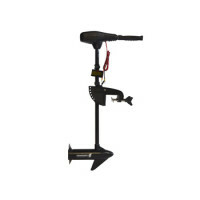 Besides, a 12-volt trolling motor is the most inexpensive and easiest to run. However, it lacks the staying power and thrust that the 24 and 36-volts provide. The latter volt systems will allow one to move about for longer periods of time, out on the water, as well as, providing increased thrust for more power, but they do draw lower amps. Fishermen who use large fishing boats frequently should use a 24 or 36-volt trolling motor. But anglers who fish for short periods of time, and only periodically throughout the season, can get away with using a 12-volt battery. Besides, a 12-volt motor is also good for kayaks, canoes and dinghy boats. Anyway, everything depends on how much power you need in the water. So, if you are planning on going fishing, or just for an adventure for a long, time period, you should go for the higher battery voltage systems. It is better to use only trolling motor batteries, which are specifically designed for deep cycles and are long lasting batteries. Inexpensive batteries can lower the performance of the motor. The performance depends on the weight of the boat, the number of people that are on it, the type of water, the type of usage and the location. A genuine, good, motor never compromises on performance. No matter if you are going to use it for a whole day or less than that, it is going to work perfectly and deliver the maximum power. There are two types of steering: foot and hand. If you get a foot controller, then your motor should have all the steering and speed controls on the foot pedal and it should be very receptive to the touch. The foot space should be adequate to function properly. 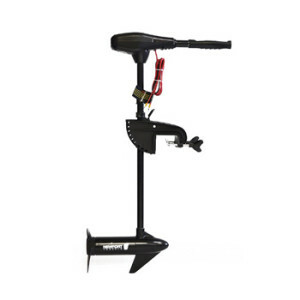 If you purchased a trolling motor with hand steering instead, then you should check the durability and sensitivity, because usually, hand steering is very sensitive and responsive. Generally, a trolling motor is considered to be the best one if it is sensitive to even a small change in steering, and reacts as soon as possible. Durability is very important, because you want to know that you made a good investment and expect the trolling motor to last. Because your motor is going to be underwater for a long duration of time. If it is not corrosion proof, especially in saltwater, then its shaft and all the parts which are immersed under the water, will be damaged. This could greatly affect the performance and durability of the motor. In case you boat will be in saltwater, instead of fresh water, it is highly recommended that the motor be made of stainless-steel. The speed of a trolling motor should be considerable enough for what you need and it should have variable speeds, too. 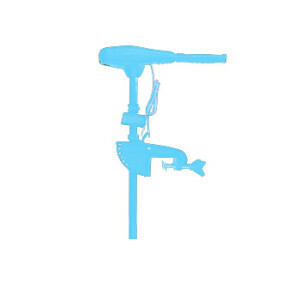 Generally, a high-quality trolling motor has various speeds, for both forward and backward movement. These high-performance trolling motors have five forward speed variations. In some cases, a three-speed variation is more than enough. 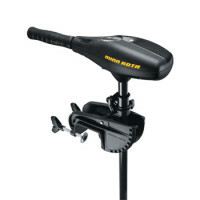 So, you need to choose the one that has better variation and maximum speed, that you require, for your trolling motor. The total Reviews Bee rating sums up the overall picture of every product. Reviews Bee works tirelessly to ensure that we are providing the best product recommendations to you and your family. 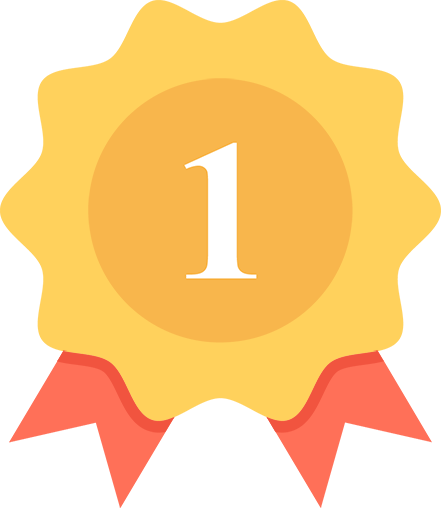 In rating the various trolling motors available, we strive to give you the best information possible.Our algorithm includes information from both expert and consumer resources. There is no need to spend hours on researches, because Reviews Bee instantly gives all researches and analysis for you and creates a Top list to save your time and money. 2. We Analyze the Data Expert Popularity Score, Expert Ratings, Consumer Popularity Score, Consumer Ratings and Consumer Complaints are inserted into our algorithm in order to calculate our Reviews Bee Score. 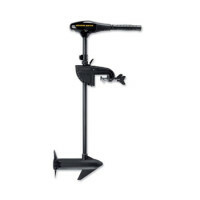 This score, in turn, is used to rank each trolling motor in our Top 10 recommendation. The Reviews Bee score is a summary of each of the most important factors indicating the value of a trolling motor. 3. We Deliver The Best Results By taking each of these essential factors into account, we are able to give each trolling motor an overall Reviews Bee Score that ranks each product against the others in our Top 10 list. By using a vast array of expert and consumer ratings, reviews, and feedback, Reviews Bee provides you with the most comprehensive analysis of product information available to you. You can make your purchase knowing that the best research was utilized to make your decision. We came up with the popularity score for every trolling motor provider while analyzing 22 expert sites that are trustworthy. Based on our detailed evaluation, each trolling motor is assigned an expert popularity score based upon how many times each product is positively mentioned by experts in the industry. By analyzing all the expert review sites our algorithm summed up the average ranking for every trolling motor in their rankings and that is how we came up with the final score for each trolling motor brand. We managed to gather more than 9150 reviews from 89 reliable sources and our algorithm calculated the average score for each brand. In order to understand how satisfied those consumers were, we analyzed the total number of reviews. We collected all the reviews and the number of stars people gave for each product. Based on these findings we came up with the average customer rating. This is how we managed to bring out the trolling motor reviews through which you know how the consumer can rate the trolling motor. Through this, we show both sides of the product whether it’s positive or negative in nature. This then makes it a negative factor in our algorithm. This as a result makes the best trolling motors reviews. That is why trolling motors reviews not only have positive comments mentioned but also the negatives as well.